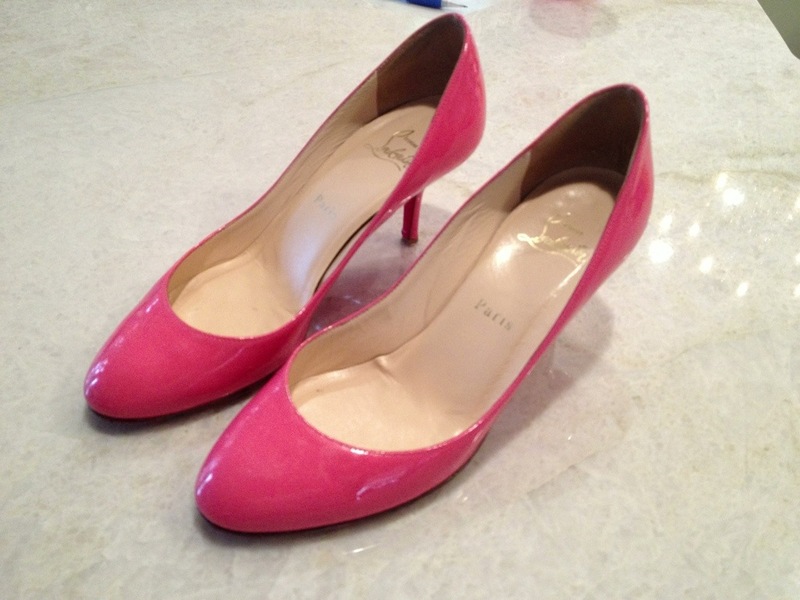 You first saw my Christian Louboutin Miminettes when I added red Vibram red soles here. What you didn’t see a lot of was the damage on the heels & one of the toes that I had always planned to cover up after finding these for a steal on eBay years ago. Instead, I’ve just always worn them with jeans to cover the damage. Then they were out for the re-sole project… and I had to make a trip to Michaels… and I’ve always wanted a pair of glittered Christian Louboutins… so this happened! Photos really can’t capture how sparkly they are. The color is slightly lighter in person. I need to do some touch-ups, but wanted to see how they wear first. 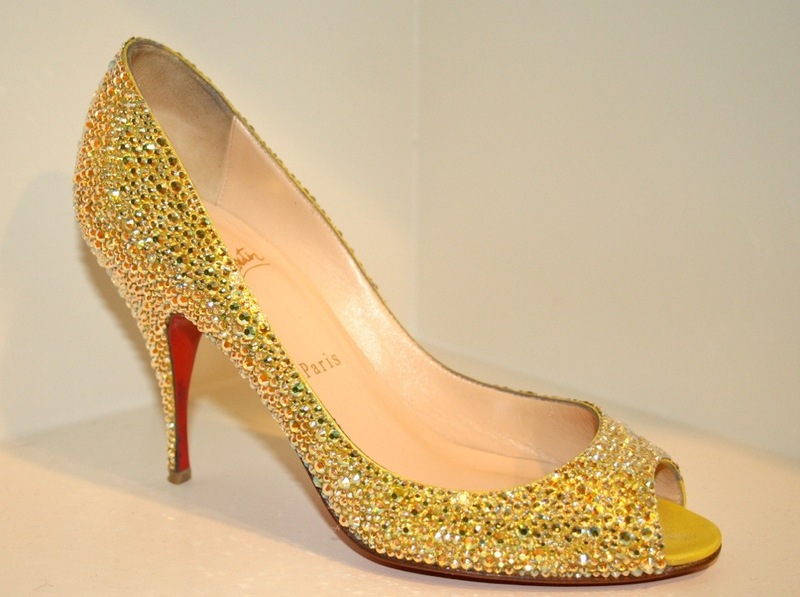 First I taped off the red soles and the insides leaving just the part to be glitter-fied. Then, about a square inch at a time, I brushed on Krazy Glue and then sprinkled on the glitter. I started this inside and realized quickly that this was an outdoor project (fumes, general glitter mess). After both shoes were finished, I sprayed on the clear enamel. This should be done VERY LIGHTLY. As usual, I globbed it on which made glitter run. So, I poured on more glitter to the wet paint. This worked extremely well and made me wonder if the Krazy glue step is necessary or if I should have just sprayed the paint and the glittered to my heart’s content. Either way, they turned out fabulously! They are into shedding glitter, so I gave them a spray with canned air to knock a lot of the excess glitter off all at once. As with all of my shoe projects (yes, there have been several), I never fight the color of the shoes. I’ve heard of people dying and then adding various finishes, but I just enhance the existing color. Clearly, I truly am a “shiny enthusiast” as I warned my husband years ago. There will now always be pink glitter in this house. You can do this with any brand. I just have a thing for rescuing designer shoes on eBay. There’s more where this came from. I recently found another “project pair” needing rescue on eBay. I think it will be my best creation/collaboration yet. They look amazing!! 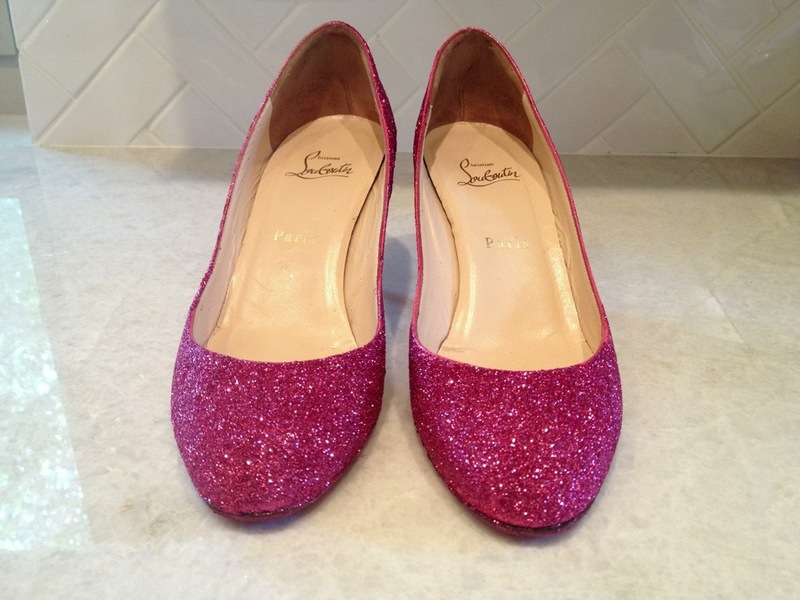 I did a black glitter DIY on a pair of CL flats last month – I think glitter hides a multitude of sins. Thank you! This was my first attempt at glitter and I love the color :).